Invitations, certificates, diplomas and medallions are designed for use in both formal graduation events and special ceremonies which acknowledge achievement. 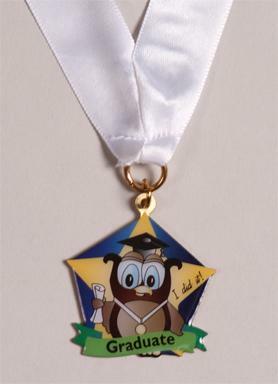 Medallions are vibrant in color and designed for graduation or special ceremonies. Our medallion is an exclusive design and includes a white neck ribbon for the graduate to immediately wear.